Last year, for a presentation, we were given a photographer to study and produce photographs in a similar style to them. The photographer I was given was Martin Parr. To me Martin's Parr photographs are not beautiful but honest and relevant. 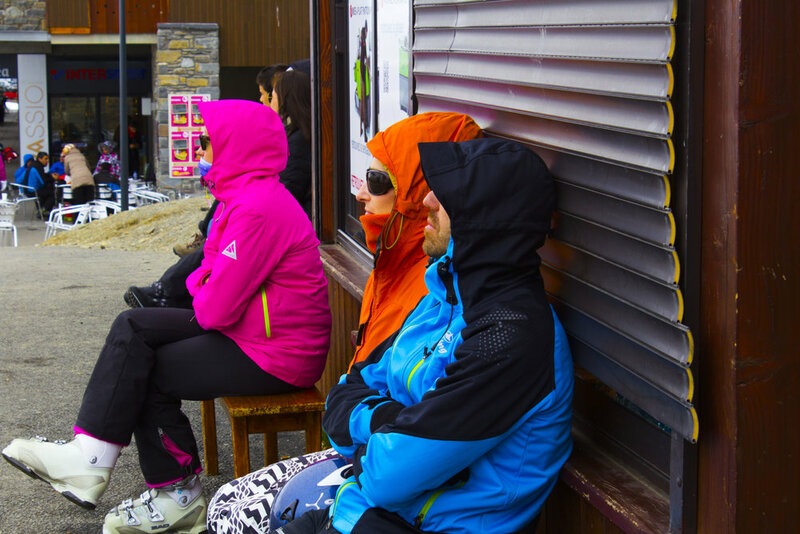 By photographing spanish tourists in a french ski station, I tried to reproduce how Martin Parr captures the English working class in a rather grotesque, unusual and critical way. I felt that the environment of a ski resort was ideal to capture images that exhibit the characteristics in his work, garish, candid, real. There was a paradox between the feelings I have about his work and the feelings I have about the subject matter of the photographs I took, namely the frequency of Coca Cola advertising, the Spanish Children and the indulgent nature of skiing. Thus making the photographs even more relevant. Later on in May I met Martin Parr at the Photo London Show and asked him his thoughts about the photographs. He was complimentary about the work, saying it definitely captured his style. However, he also provided me with some useful, constructive criticism. If I had used more flash it would have emulated his style even more effectively. ➲ Have a great week!